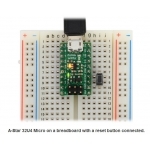 The A-Star 32U4 Micro is a tiny programmable module featuring Atmel’s ATmega32U4 microcontroller. 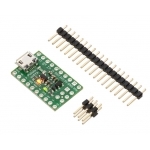 It packs a Micro-USB interface and 15 digital input/output pins (of which 7 can be used as PWM outputs and 8 as analog inputs) onto a board measuring only 1″ × 0.6″ and comes preloaded with an Arduino-compatible bootloader. 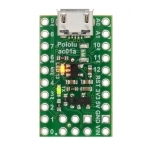 The Pololu A-Star 32U4 Micro is a general-purpose programmable module based on Atmel’s ATmega32U4 AVR microcontroller, which has 32 KB of flash program memory, 2.5 KB of RAM, and built-in USB functionality. 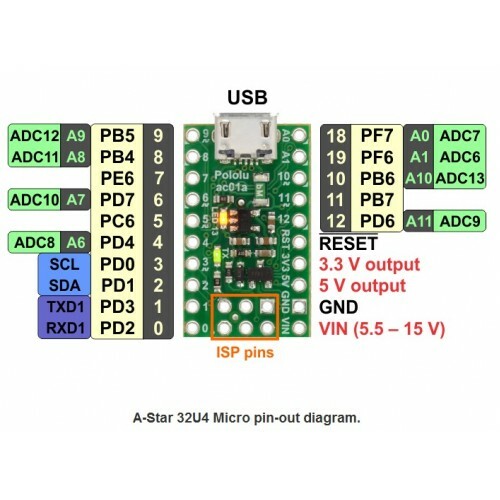 Onboard features of the A-Star (abbreviated A*) include a 16 MHz resonator, a USB Micro-B connector, an in-system programming (ISP) header, and a pair of indicator LEDs. 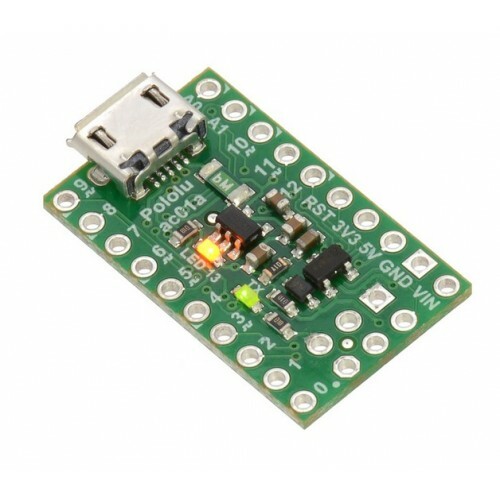 A voltage regulator and power selection circuit allow the board to be powered from either USB or an external 5.5 V to 15 V source, while a resettable PTC fuse on the USB VBUS supply and reverse protection on VIN help protect it from accidental damage. 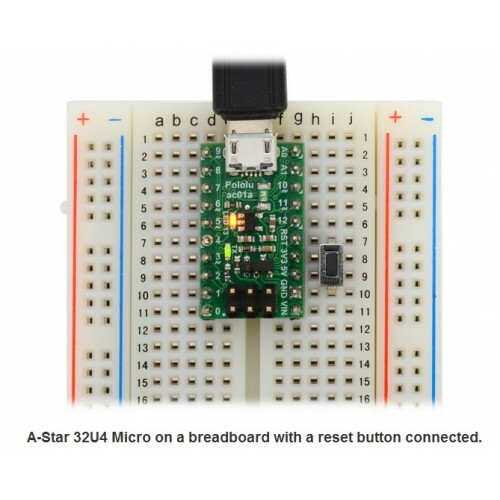 The A-Star 32U4 uses the same microcontroller as the Arduino Leonardo and runs at the same frequency, making it just as powerful. 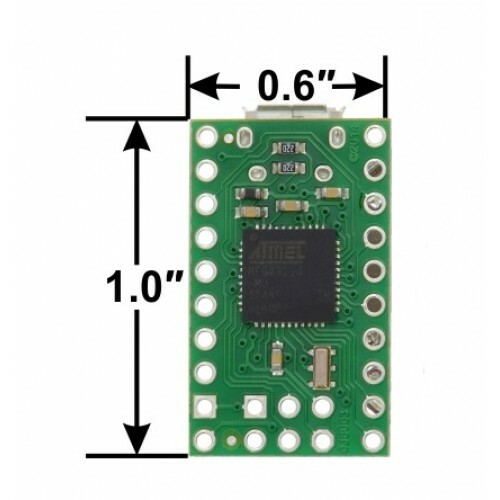 Although the larger boards offer a few more I/O pins, the A-Star 32U4 Micro fits in an area half that of the Arduino Micro, and it takes up only 11% as much area as a standard full-size Arduino! 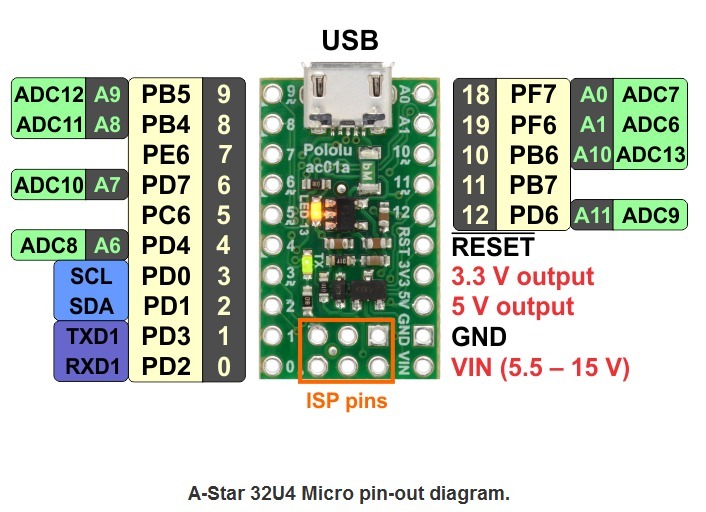 This diagram identifies the I/O and power pins on the A-Star 32U4 Micro; yellow labels represent digital I/O pins and green labels represent analog input channels. 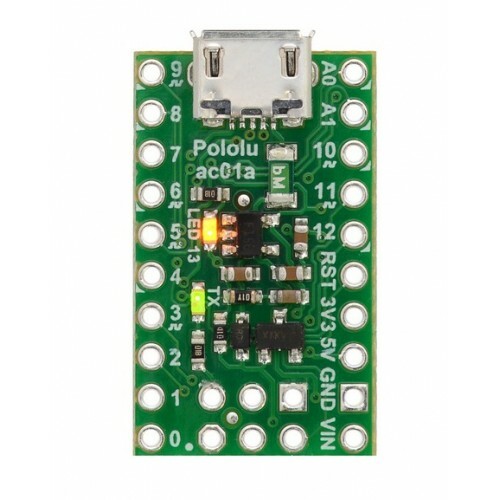 Light text on a dark background indicates Arduino digital and analog pin numbering, while dark text on a light background indicates a name or function of the pin as defined in the ATmega32U4 datasheet. 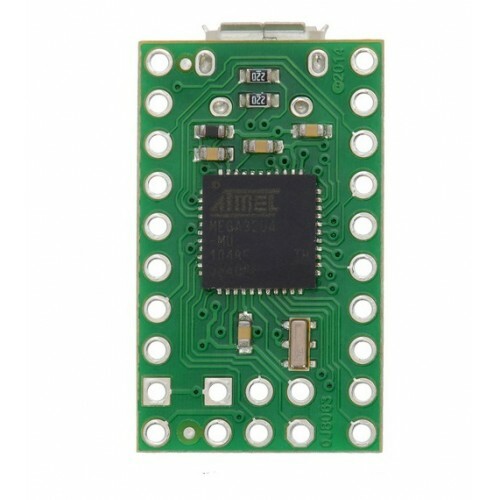 For more information about the ATmega32U4 microcontroller on this board, see Atmel’s ATmega32U4 documentation. 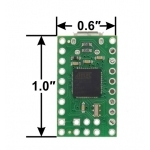 This download contains the Windows drivers for the A-Star, the add-on for the Arduino IDE, the source code and compiled version of the bootloader, and a configuration file that some Linux users will need. 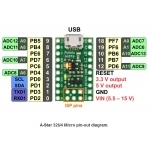 This repository contains the A-Star Arduino add-on files, the Windows drivers, and the source code of the bootloader.